Tamil Nadu chief Minister appealed Prime Minister Manmohan Singh to advise Government of Kerala not to build a new dam as Mullaperiyar dam is functioning well. In a letter to the Prime Minister, Ms Jayalalithaa said that Kerala Government is creating fear and panic among the people to gain political mileage. She also mentioned that Ommen Chandy, Chief Minister of Kerala, had reportedly met the Prime Minister for the construction of a new dam saying it was the only solution to safeguard people of Kerala. "The government of Kerala has been harping on this point for quiet some time, inspite of the fact that the existing dam has been proved to be safe and can store water up to 142 feet as decided by the Supreme court as early as in 2006," she said. Tamil government had taken measures to keep Mullaperiyar dam in good condition. Due to these safety measures, the dam was safe and its functioning "is as good as that of a new dam", she said in the letter released to the media. 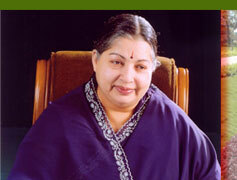 0 Response to "Mullaperiyar Dam, safe and good as new: Jayalalitha"